“Not today, Sister,” the woman whispered to Jo-anne. They had the street to themselves, but the woman spoke in hushed tones. “You shouldn’t go today,” she repeated. Sister Jo-anne’s love for children has won the respect of local mothers, who now welcome and watch over her. Jo-anne understood the advice. Danger was afoot, according to the woman, who is a member of the Tausug indigenous communities in the southern Philippines. Jo-anne is a nun who works for a local organization that partners with ChildFund. Jolo is the largest island in the Sulu archipelago, which comprises the southernmost tip of the Philippine Islands. There, rolling hills give way to pristine coastlines of crystal clear water and fine white sand. In the provincial capital, also named Jolo, the exotic durian fruit is found in such abundance that a mere breath of air yields a trace of the fruit’s distinct yet controversial smell (imagine garlic plus old garbage). Despite Jolo’s beauty, the island is not a tourist destination because of abductions and frequent clashes between government and armed groups. Private investors and even development agencies have withdrawn to the safety and convenience of cities like Davao and Cagayan de Oro in nearby Mindanao. Jo-anne was born in the Mindanao mainland. Her father was a farmer, and her mother was a public school teacher. Growing up in a community of Christians and Muslims, she developed an appreciation for different beliefs and cultures. Jo-anne worked as a government agricultural technologist for five years until 1999, when she decided to join a religious order. 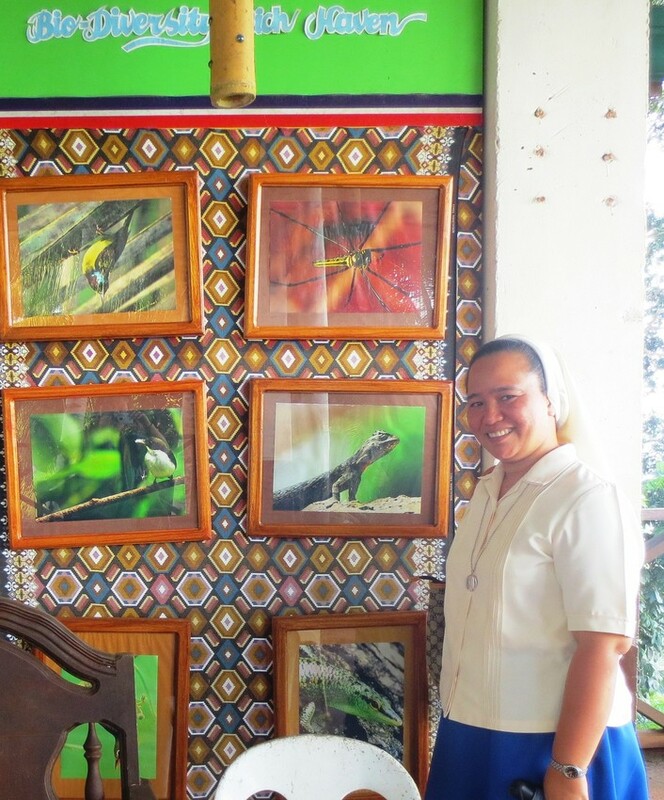 As a nun, Jo-anne served in different provinces in Mindanao. Her assignment to Jolo in 2011 as a project manager posed unique challenges. Jo-anne had to learn the Tausug language and its culture, which is different from the mainland’s. “Children were my first tutors in the local language,” she says. Working in partnership with ChildFund did much to help Jo-anne allay her fears. “ChildFund’s reputation for working in some of the most difficult circumstances in the Philippines lends me much credibility,” she says. Also, Jo-anne’s work with Tausug children endeared her to their families, particularly mothers, who grew protective of her. When possible, one or two mothers accompany Jo-anne when she travels to rural villages to visit ChildFund project sites or the homes of sponsored children. Sometimes, Jo-anne hears, “Not today, Sister. You shouldn’t go. You should stay in town today.” This is the warning mothers share whenever news of troop movements, incursions or other dangers reaches their ears. When Jo-anne is already in the field, the women make sure she is properly accompanied and escorted home or to town. Jo-anne’s thankful to be included in the local “warning chain,” despite being an outsider. “I’ve learned being a woman in these circumstances is an advantage,” Jo-anne says. “The Tausug regard women highly, mothers particularly.” Though Jo-anne has chosen a religious life, the Tausug mothers identify with her because she has devoted herself to the wellbeing of their children. Today Jo-anne continues to travel all over Jolo. She remains cautious, but because of this web of protection, she is no longer as scared. A young girl stood before a panel of adults in a government office in northern Afghanistan. It was not her first visit. My name is Nazifa, and I am 12 years old. Yes, I am. My mother is a kind woman, and my father is often away from us, working. Why are you in the district governor’s office? I presented a written complaint to get out of being married to an old man. 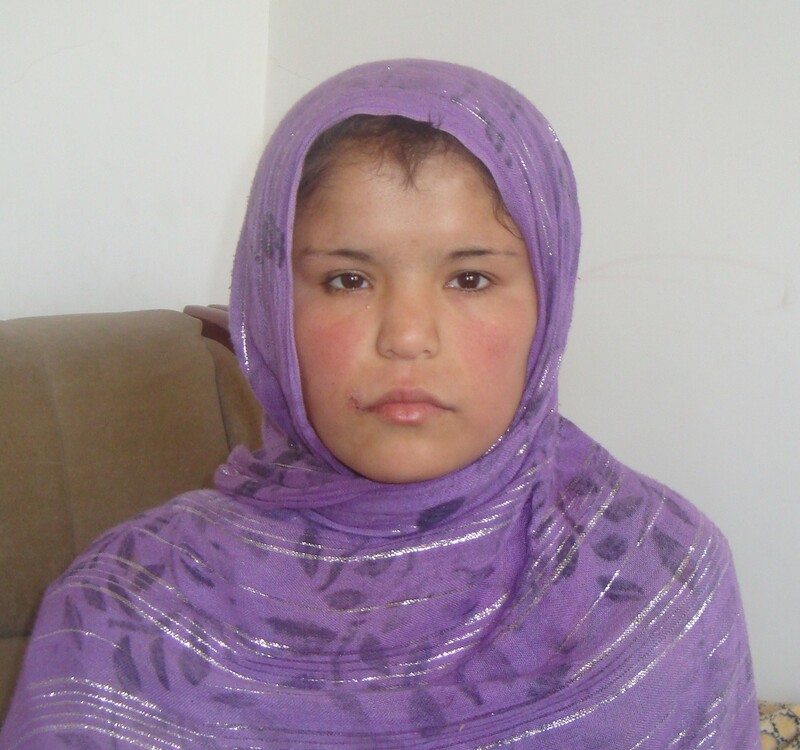 Nazifa, 12, spent nearly a year trying to get out of her arranged marriage. How much is a 12-year-old girl worth? To Nazifa’s grandfather, $2,000 sounded about right. This was the offer from the pair of community elders who approached him a year ago about arranging a marriage between his eldest granddaughter and a young boy from their rural village. The three men, says Nazifa, showed her a picture of the boy and made her agree to the marriage despite her objections, which included her desire to continue school. On the wedding night, she was taken to a room where an old man sat. She kissed his hands, the traditional demonstration of respect for elders by Afghanistan’s young people. And then she was made to sit next to him. She began to cry, harder and harder as she came to understand that this elderly man was her new husband ― that she had been deceived, and that there was nothing she could do. Finally, she fell quiet, and the man did as he wanted. He was 72 years old. Nazifa’s grandfather left immediately after the wedding on a pilgrimage funded by Nazifa’s bride price. Within two weeks, Nazifa’s husband began to abuse her. The moment she saw an opening, Nazifa ran home to her mother and told her everything, and they submitted a complaint to district authorities. Eight months later, there was still no resolution. ChildFund learned of Nazifa’s case through its Social Work Coaching project in Takhar province, which aims to improve child protection systems to address the needs of children at risk. In addition to working with local and national government authorities, the project trains social workers and community outreach workers on child rights, child development and protection, referrals and other social work services. ChildFund is one of several partner organizations in the project, which is supported by UNICEF. After Nazifa told her story, the room fell quiet, her listeners struck by her tender age, her sweet face, her directness, her passion for education. Her questioner changed the subject. Yes, when I am not coming to court. When you go to school, does anyone bother you? Yes, on the way to school and in class, they all laugh at me and say unpleasant words. Do you want to continue going to school? Yes. I will never stop going, even though it’s hard. If you don’t succeed in getting out of this marriage, what will you do? I am sure the government will decide in my favor. Otherwise, I can’t accept life with an old, disturbing man, and I will end my life somehow. Nazifa was finally able to leave the marriage, and school is easier now, thanks to some support from social workers trained by ChildFund. Authorities had no good answer as to why this case had taken so long, and there are many more such cases throughout Afghanistan due to the cultural breakdown following the country’s two decades of conflict. Social work is not really a formal profession in Afghanistan, but this is beginning to change as authorities recognize the need for it, thanks largely to awareness raised by ChildFund and others working to strengthen child protection systems in Afghanistan. We work to expand people’s knowledge about the rights and worth of children, and we help protect as many children as we can from becoming victims. Because a 12-year-old girl is priceless. As we prepare to celebrate International Women’s Day on March 8, we’re spotlighting some of the amazing girls and women we’ve encountered in ChildFund-supported communities. We honor their struggles and cheer their successes. Woven baskets, vases and hats made with multi-colored palm leaves are piled on a hall table as women go about their work in the Sri Lankan district of Jaffna. Some women weave hats, while others work on baskets or bags. Some sit in chairs, but many prefer to sit on the floor. Now and then everyone has a break to chat with others nearby. Jaffna, in the northernmost region of Sri Lanka, is highly populated and busy, but this production center is tranquil. Five women who work here are war widows, following the 26-year civil war that ripped apart the country. Sopa, a war widow in Sri Lanka, weaves a basket at a production center in the Jaffna District. She was trained through ChildFund and a partner organization. 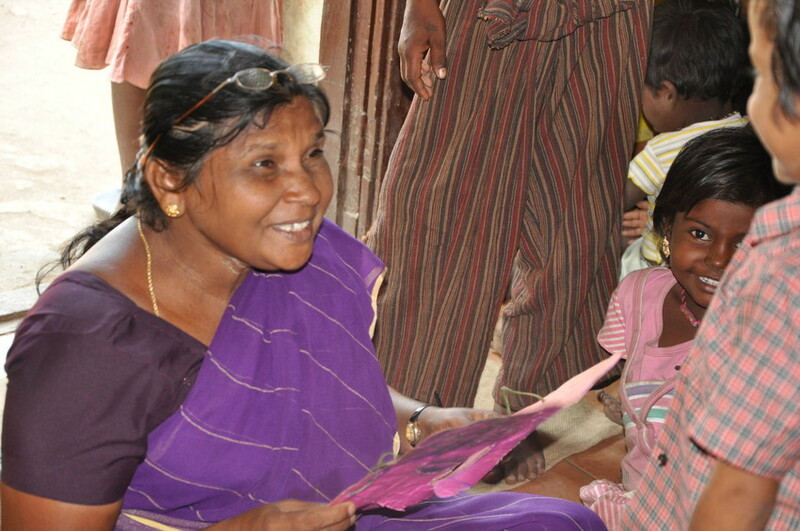 Sopa is a widow and has a 4-year-old son, Methayan, to support. After losing her husband, Sopa suffered psychologically and had to depend on her elderly parents for months, which made all of their lives more difficult. Coming to accept that her husband was gone, she started to think about how to feed Methayan and educate him. This production center, which uses materials from local palmyrah trees, was started in 2011 through a partnership between ChildFund and a government board to help provide employment opportunities after the war ended in 2009. During the resettlement phase, 35 women were initially trained. Now the center employs 45 women between the ages of 18 and 40. The woven products have a high demand in other countries. Every two weeks, a large truck comes to the center and picks up the craft items. The center has attracted the attention of many unemployed women in the region, mainly because they would not have to travel long distances or move away from home to find work. Since its start, the center has trained an additional 80 women. The women working here have bigger dreams now. They hope to expand the business and provide employment opportunities to more women in the area. After attending training, Sopa found a job she liked, and she is still available to Methayan, who stays with other family members at home a 10-minute walk away. She attends to his needs in the morning, goes home at lunch time to feed him and then returns home before dark. Sopa makes US$110 a month, and she can earn more if she weaves more pieces. With her income, she’s able to support herself and her son. As we prepare to celebrate International Women’s Day on March 8, our posts for the remainder of the week are dedicated to the amazing girls and women we’ve encountered in ChildFund-supported communities. We honor their struggles and cheer their successes. Justine once struggled to feed her family. Without an education, Ugandan mother Justine could only dream of being employed. Her family of five depended entirely on her husband’s income from driving people on his motorcycle. And yet, his income was too low to cover all their needs: food, medical care, clothing, housing and the children’s education. When Justine heard about ChildFund in 2007, she enrolled her daughter, who soon received a sponsor. For Justine’s family, this was the beginning of a new life. Learning to sew has brought income and opportunity. An opportunity arose through ChildFund and a local partner organization for Justine to learn how to make clothes. “I knew it was my opportunity to acquire a skill that would get me out of my helplessness,” she says. After the training, Justine received sewing machines, which have helped her family’s income. The mother of three now makes a living by sewing sweaters and school uniforms that she sells in her shop, as well as training other women to sew. Justine makes and sells children’s school uniforms at her roadside shop. The income from her shop has helped Justine’s family pay school fees and also have enough money left over for a plot of land and construction materials to build their own house. Justine has also helped her husband buy two more motorbikes, which he rents to other drivers and has increased the family’s income. She is the chairperson of the local home visitors committee, a program that sends volunteers to the homes of ChildFund-enrolled children to make sure they are healthy, studying and happy. As chairperson, Justine mobilizes and leads the team. When Mekdes was just 3 years old, her father passed away and her mother was unable to take care of her daughter on her own. So Mekdes went to live with her grandmother in Addis Ababa, Ethiopia. Mekdes at home in Addis Ababa. Today, 14 years later, Mekdes should be enrolled in grade 10 at Ketchene Secondary School, but times have been tough in recent years. Mekdes was making good grades and enjoying her classes. Then her grandmother lost her job—their only source of income. Mekdes was forced to drop out of school and start working before she completed the national high school leaving examination that would open the door to advanced education. Since dropping out of school, Mekdes worked as a hairdresser and a day laborer for a small company, but her real dream is to finish school and become a doctor. Thanks to ChildFund’s International Women’s Day Twitter campaign, that dream now has a better chance of becoming reality. In March, we asked our Twitter followers to post 200 tweets and retweets focused on girls and women during a four-day time period culminating on International Women’s Day. As an incentive for the awareness-building campaign, we would honor our Twitter followers by awarding a one-year scholarship to a deserving Ethiopian girl (one of the items available in ChildFund’s Gifts of Love & Hope catalog). Mekdes is the recipient of the scholarship gift. She plans to work during the day and take evening classes so that she can complete her secondary education.